Made Naturally with Sun, Wind and Time®. Made Naturally with Sun, Wind and Time®. 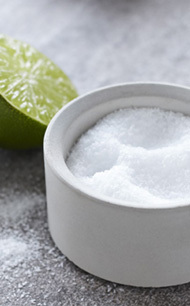 Our sea salt comes from the blue waters of the Pacific Ocean and is produced through years of evaporation. The process for harvesting sea salt today is really the same process that has been used for centuries. Diamond Crystal® Sea Salt is harvested only when it is ready. 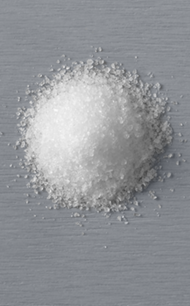 It’s a rarified combination that makes our Diamond Crystal® Fine Sea Salt your gourmet salt choice. 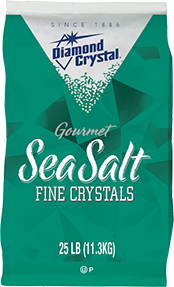 Diamond Crystal® Fine Sea Salt brings out the fresh flavor of your foods. It is great for recipes needing a fine salt crystal size for uniform blending.